A powerful, non-stimulant pre-workout engineered for the strongest muscle pumps and vascularity. Mix 1 serving (1 scoop) with 8 oz. of water. For an explosive pump, mix 2 servings (2 scoops) with 16 oz. of water. Shatter™ Pumped8 Black Onyx® is a powerful, non-stimulant pre-workout engineered for the strongest muscle pumps and vascularity. Each scoop features an exclusive combination of 4g of pure L-citrulline with VasoDrive-AP® and Spectra™, plus the key ingredient VasoShock-XR™ – exclusive to MuscleTech® - which is scientifically shown to boost markers of nitric oxide (N.O.) for up to 8 hours. This means more blood flow, meaning your extra-large shirt will feel like an extra-small. This is a great formula for anyone sensitive to caffeine who is still looking for those intense pumps. Shatter™ Pumped8 Black Onyx® will have you experiencing extreme pumps unlike anything you've experienced before! Shatter™ Pumped8 Black Onyx® is the only pre-workout with 4 clinically dosed pump drivers in one scoop for instant impact. The key ingredient VasoShock-XR™ provides the longest lasting pump. The best part? It’s exclusive to MuscleTech®, which means you won’t find it anywhere else. 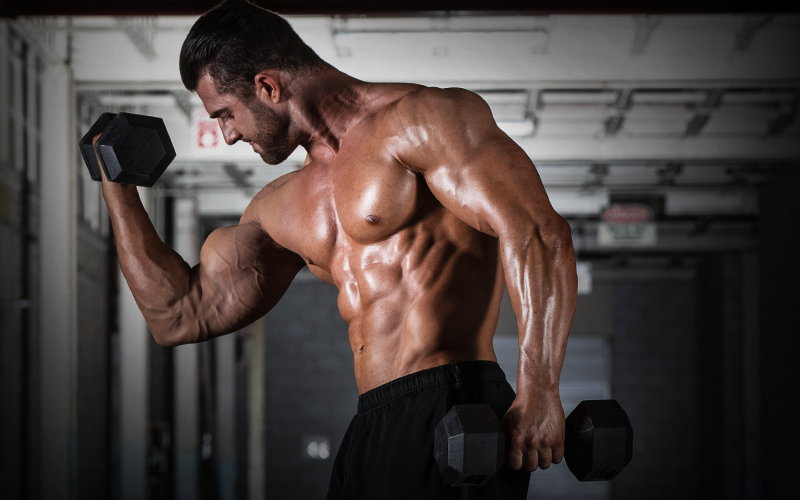 Boosting nitric oxide is crucial for triggering muscle pumps and vascularity. This is why Shatter™ Pumped8 Black Onyx® is loaded with powerful doses of key N.O. boosting ingredients. 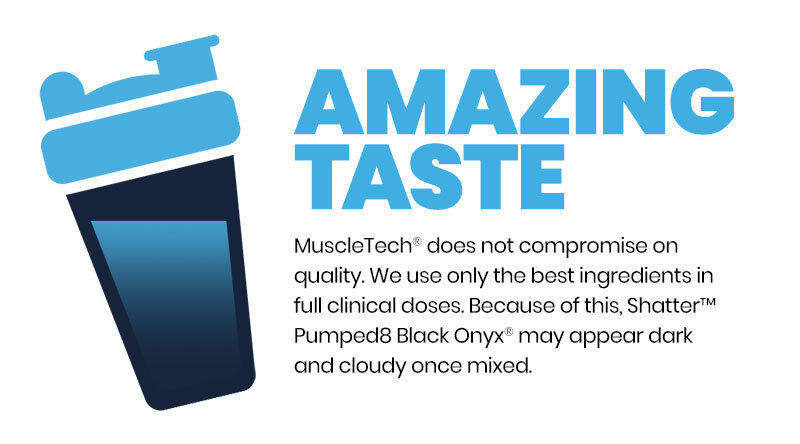 With its cutting-edge formula, Shatter™ Pumped8 Black Onyx® will have you experiencing extreme prolonged muscle pumps. Shatter™ Pumped8 Black Onyx® is the first-ever pre-workout to feature the key ingredient VasoShock-XR™, a highly concentrated one-scoop serving and 4 scientifically backed N.O. boosters. What's more, the clinical dose found in 2 scoops of Shatter™ Pumped8 Black Onyx® was shown to elevate key makers of N.O. in blood plasma and saliva. Our formula includes 4g of pure L-citrulline – that’s more than the amount found in 6g of L-citrulline malate. Plus, it has research-inspired VasoDrive-AP®, a unique compound engineered to support muscle pumps. 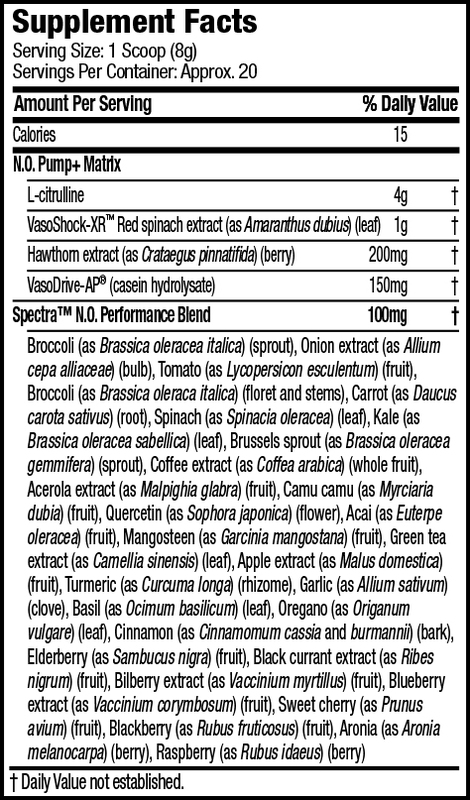 Furthermore, there’s the unique Spectra™ blend of 29 plant-based ingredients, scientifically shown in a separate research study to improve bioavailable N.O. 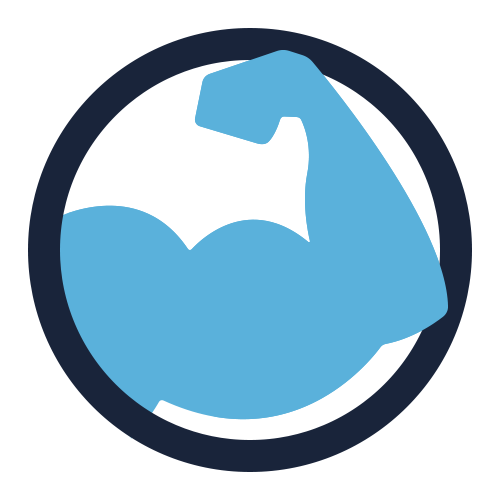 concentration in the blood by 64% compared to placebo.